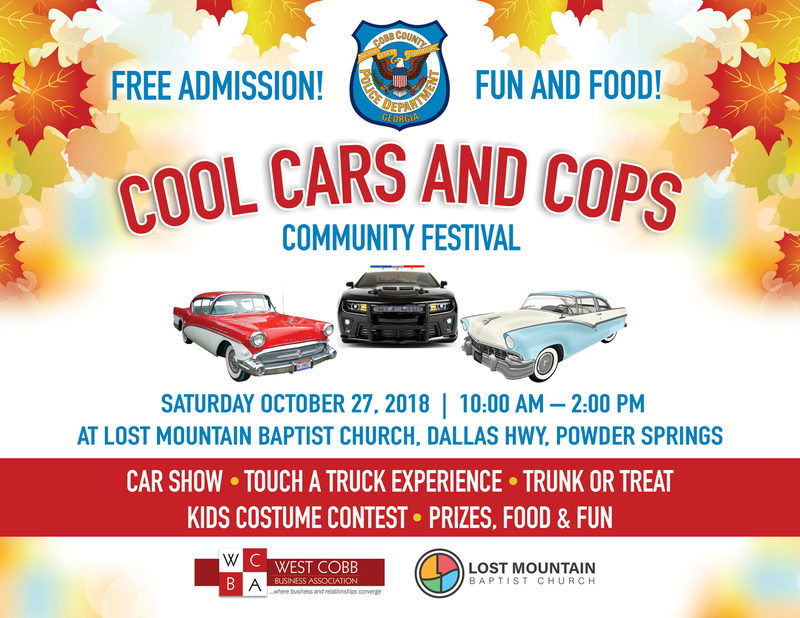 Cool Cars and Cops Community Festival presented to you by the Cobb County Police Dept., West Cobb Business Association and Lost Mountain Baptist Church will feature a Car Show, Touch a Truck Experience and Trunk or Treat. Kids Costume Contest, Food and Fun! FREE TO THE PUBLIC! 10:00 am - 2:00 pm.